Do you experience a mild sense of dread when you need to call a company you do business with to resolve a problem? If so, youre not the only one. Weve grown used to expecting less than stellar experiences when it comes to interacting with customer service agents and receiving a timely, helpful, and courteous resolution to our problem tends to be the exception rather than the rule. We all know that it shouldnt be this wayand it doesnt have to be. Throughout my experience in the field of customer experience, Ive seen it done extremely well, and Ive heard stories that should make service reps around the world hang their heads in collective shame. Ive also probably heard every excuse in the book from companies who believe they have dont have the technical or financial resources to consistently deliver great customer experiences. There are a few things that every organisation can do to ensure that the human beings at the other end of any given service interaction receive the help and care they deserve. 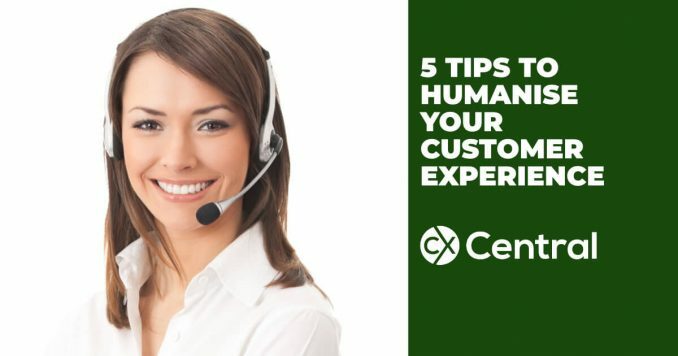 Here are five of the best ways to humanise your customer experience. In this always-on age, your companys door is always open, and customers may choose to contact you through any support channel youre willing to provideincluding email, phone, web chat, social media, live retail venues, and self-service support forums online. 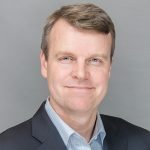 These multichannel options aim to make things easier on the consumer side of the street, but for businesses, some of todays biggest challenges are a direct result of this newly added complexity. Thats why you have to empower your call centre staff with the training and autonomy they need to cut through that complexity and do their jobs well. Customer Experience workers need to be empowered with the right tools, which might include software that provides a 360-degree view of customer interactions across all of your service channels. But the use of any tools or training starts with your frontline staffthe people in your business who interact most directly with your customers. If either a frustrated customer or a confused contact centre agent is forced to escalate an interaction to a supervisor, youve already lost the battle. Give even your most junior employees permission to use their best judgment, and then give them everything they need to follow through. If your front line of customer care already knows everything they need to know within the first minute or two of a conversation and, most importantly, are empowered to act on that informationwith sufficient knowledge and latitude to resolve the most common problems on their ownthen youre soon going to be seeing a lot more happy faces all around. Its always good to remember that your customer service staff consists of human beings, too. And that means that every single one of them is different, no matter how hard your streamlined corporate protocol may strive to iron out these differences to create a fleet of 50 or 5,000 service-rep machines. The best customer care teams find ways to use these human idiosyncrasies to their advantage. If you understand the different skill sets your agents possess, you can then best match those skills to the appropriate caller or situation coming inwhether that means assisting a customer in a different language, upselling a customer on a new product or service, or dealing with a particular technical issue that some agents have more experience with than others. But most importantly, because every interaction between you and your customers is a human interactionno matter what channel it happens through — it pays to understand and appreciate your different employee strengths, temperaments, and empathetic skills. If your company has a billing and collection department, for instance, staff it with individuals who are particularly adept at helping customers who are angry and upset. Certain people can defuse tension, respond to objections, or deal with emotional intensity more effectively than others. In the normal course of business, theres an ebb and flow to the rate at which customers make contact with your company, and its smart to staff your contact centre accordingly. Week after week, these patterns become predictable, and you can take steps to ensure that no customers attempt to contact your support team is ever ignored. But then there are the special occasionsa big product release, a marketing campaign, or even a natural disaster. All of these can affect your business and your frequency of customer contacts, and dealing effectively with a sudden onslaught of new inquiries starts with giving your frontline employees the right script. If your customers received an email about a special promo offer and called in to request more information, the situation would be far from ideal if your call centre staff didnt know what your customers were talking about and, instead, just continued to read aloud a rote, scripted response to a customers unusual request. You need to find ways to give your frontline staffers a seat at the table before the new inquiries come flying in, so they can respond appropriately and not sound like robots that forgot to download the latest software update. By doing the right preparation, staffing and training for a key launch or unanticipated event, youll be making sure that everyonecustomers and service agents alikeare already on the same page before an interaction even starts. The previous three points are all about eliminating any potential friction between your frontline staff and your customers, ensuring that any questions and concerns your customers may have can be resolved as efficiently as possible. But nearly every aspect of your brand today is a potential customer experience touchpoint, and your behind-the-scenes IT staff and legal team need to begin keeping your customers in mind, as well. If the Ts and Csthe Terms and Conditionsfor your product or service are only comprehensible by your lawyers, then youve already set up another barrier in front of your customers before their experience with your brand has even begun. This also applies to your companys websites and mobile apps. If theyre confusing or difficult to navigate, delivering a user experience that makes more sense to your web design team than to your actual customers, maybe it’s time to rethink your strategy. Try applying the so-called Grandmother Test. If she wouldnt understand your Terms or Conditions, then youve just identified another obvious source of friction to eliminate. This doesnt mean dumbing down or pandering to your customers; it merely means communicating as clearly and simply as possible. Just a little extra sympathy for the human beings at the other end of your brandadding the quality of attention that distinguishes a traditional customer service environment from what we now call customer carewill go a long way. Of course, customer care representatives and retail employees must always bear in mind that they cant choose which customers are going to contact them or enter their store. One needs to be attentive and available for anything. If you work in a dedicated service role, you may get unhappy customers most of the time, demanding your help to resolve their problems. To make your own life easier, I suggest you take the Golden Rule to heart: Whenever possible, offer customers the same care and courtesy youd hope to receivebecause you and every other customer care rep in the world are also, at one time or another, also customers yourselves. By the same token, you dont need to overdo it. As customers, we can trust that our own experience is often the best guide, and we aren’t necessarily looking for the five-star, white-glove treatment when we call our service provider to report that our internet speed is running slower than what we’re paying for. We simply want it fixed, as quickly and professionally as possible, low effort in todays CX industry parlance. In the end, providing great customer care is an evolving art, not a science. By applying any model, statistic, or technique, your own mileage may vary. What works well for one company may backfire for yours. But to the extent that best practices like the ones Ive described here are at least considered, well be endeavouring to find new ways to humanise both our support staff and our customers, treating them with the respect and care that all individuals deserve. And could there be a better foundation for a great relationship than that? If you need some help on how to humanise your customer experience search our Business Directory for a range of specialist suppliers including technology suppliers, consultants, trainers and more.